It began in 2004. 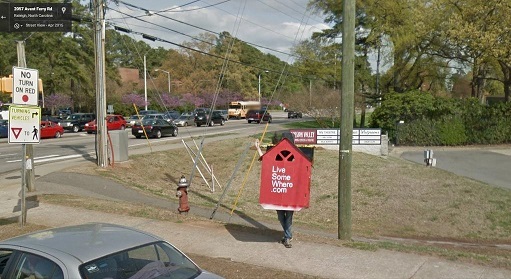 I, Billy, was a recent college graduate and started investing in real estate in the NC State area. I had to quickly focus on finding students to living in the condos. Combining my friends still in school and word of mouth referrals, I had no trouble finding renters. While I had no trouble, I knew of many others who had a difficult time finding renters. Some were landlords just starting out and some were students trying to sublease. These landlords do not have the budget nor the economy of scale leverage to market and advertise. As for the students, when their plans change unexpectedly, they just want to sublease to avoid management penalties. I saw that the status quo needed to be more open to everyone and not just for those who could afford it. Ironically, I also knew of many renters who had a difficult time finding a place. These renters could usually only find leasing offices at the large apartment communities but rarely the startup landlords or subleasing students. I wanted to create something that was comprehensive welcoming everyone in an open and organized way. With my basic programming skills, I helped build a few community sites which helped a lot of people. But, in reality, the status quo did not change much. The ability to make a major impact on how apartments are marketed officially came in 2014 (after two years of beta test) with the launching of LiveSomeWhere.com. Now, there is a platform to allow for an open and organized marketplace for rentals around universities. We continue to make improvements and create the best experience for everyone looking to live somewhere as well as those who have a place to rent/sublease out and help.